At a mere 96 grams and the ability to use lithium AAA batteries (reducing the weight to just 82 grams), the Quad is easily the lightest headlamp in our Professional Series. Four Regulated Ultrabright LEDs illuminate even the darkest of outdoor conditions with a powerful and wide beam. Like the EOS, the Quad's housing is molecularly bonded together. 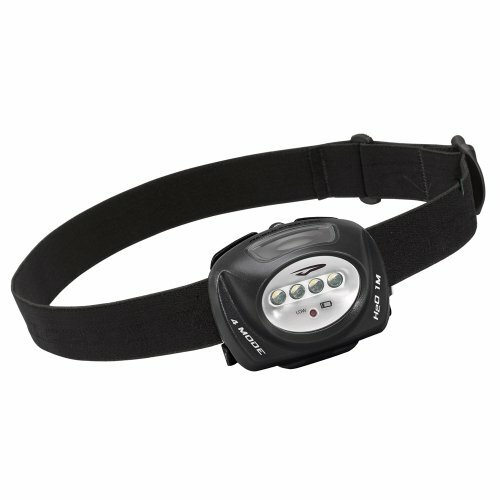 Including the benefits of an O-ring seal, a battery meter, a separately molded battery compartment, and high-grade materials makes the Quad one of the best headlamps for working around camp,dark trail runs, and work spaces.